Toilet training aids for dogs. Toilet Training There are 9 products. 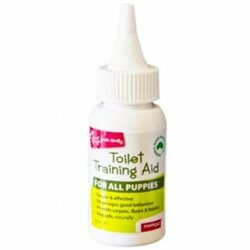 Great for toilet training puppies and kittens. 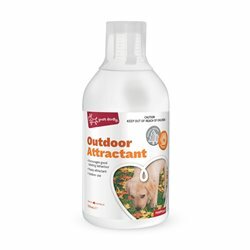 Specially formulated with a unique combination of odoriferous compounds to attract your puppy and encourage them to urinate at the spot you have chosen. 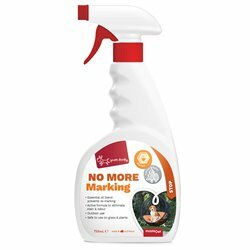 Yours Droolly® No More Marking prevents pets from revisiting and marking or soiling the same spot twice. When sprayed on previously marked areas it will remove existing stains and odours leaving behind a pleasant aroma that dogs don’t like. This yard stake is specially treated with a pheromone scent to encourage pets to urinate in a specific area of a lawn. 3 in 1 Odour Remover formula reacts with unpleasant pet odours, destroying them on contact on every surface.